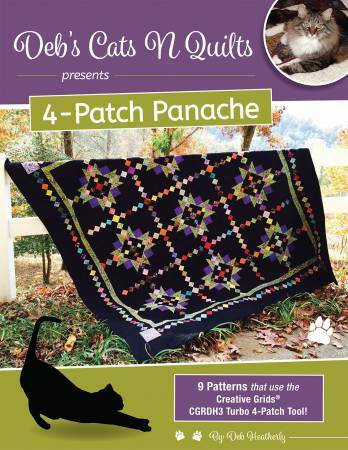 This book contains nine patterns that use the Creative Grids CGRDH3 Turbo 4-patch tool. With Turbo 4-Patch you make multiple blocks in a whole new way by cutting after you sew and basing your cuts on your stitching lines. Pre-cuts and scraps are perfect for the quilts in this book. This book is 64 pages long with full color pictures and instructions.